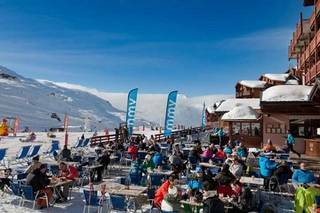 Ski hotels in Le grand bornand : compare ! Thanks to acheap ski hotelin Le Grand Bornand, you can enjoy the pleasures of a mountain holiday! Do you want to book ski hotels in Grand Bornand? Between Mont Blanc, Lake Annecy and Switzerland, discover your ski hotel in the Grand Bornand! Your ski hotel rental in Grand Bornand will allow you to climb a waterfall of ice, to launch by heli-skiing or paragliding, to do snowmobiling, skating, night skiing, carriage rides or hot air balloon! A ski hotel reservation in Grand Bornand is also possible to ski on 82 km of slopes. Le Grand Bornand offers an area where you can practice all kinds of skis with its vast ski slopes and its snowpark, classified among the best in France. As soon as you arrive, you will be seduced by the beautiful scenery the landscapes of the village: Point Percée will especially draw your attention. With the label Famille Plus Montagne, the village resort allows you to enjoy a pleasant family holiday where the joys of the mountains will make your holiday unforgettable. During yourski stay in a hotelin Grand Bornand, discover the 400-year-old chalets in the village. For family fun, consider exploring the Grand Bornand area, like the Flumet Val d'Arly ski resort. All year long, the resort is very lively thanks to the various festivities organized in the village such as the rural festival of Lormay, the festival of the mountains, the alpine festival in Chinaillon or the agricultural fair of Saint-Maurice. If you appreciate cultural discoveries, visiting cultural places will be part of the activities that will please you in the Grand Bornand. In order to minimize your expenses, you are keen to choose ahotel ski cheap? With Ski Express it's possible! The hotel search engine for ski hotels shows you how to book your hotel in Le Grand Bornand and enjoy the accommodations in a smart location.